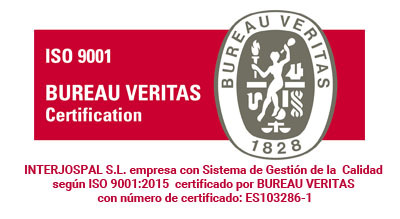 INTERJOSPAL, company dedicated to the "Manufacture and commercialization of fertilizer products", has decided to implement a Quality Management System based on the ISO 9001 standard for improving the services we provide to our customers. Quality and its improvement are the responsibility of all the members of the INTERJOSPAL starting from above. Quality is obtained by planning, executing, revising and improving the System of Management, keeping in mind at all times the context of the organization, both internal as external. Quality is oriented towards the satisfaction of all our customers (and parts interested parties), through the commitment of the entire organization to comply with their needs and requirements, as well as the legal and regulatory requirements and their own of the products. Quality is based on the continuous improvement of both production processes and service provision, as well as the effectiveness of the Quality Management System in the that preventing mistakes is a fundamental aspect. Quality directs us to pay the utmost attention to technological evolution and to possible improvements that the new technologies put at our disposal. 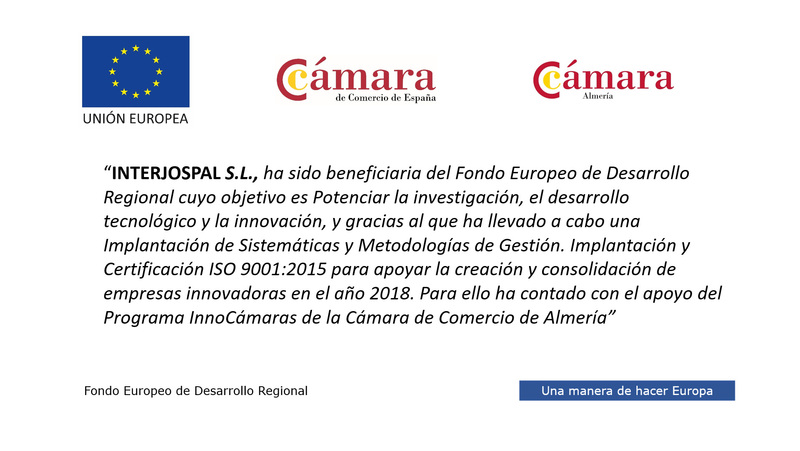 Quality requires the participation and collaboration of all so this Policy is disseminated to all INTERJOSPAL personnel for their knowledge and understanding. For the effective application of these principles, it is absolutely necessary to support them both the management team and the staff.